Sleep like a King solid color Pillow Sham pair is a wonderfully soft 400 thread count made of 100% combed cotton with a sateen construction designed by Larry and Shawn King. Elegant piping detail along the 3 inch flange of the sham creates a sophisticated design. This exquisite item has been created from the inspiration and designs of Larry and Shawn King. 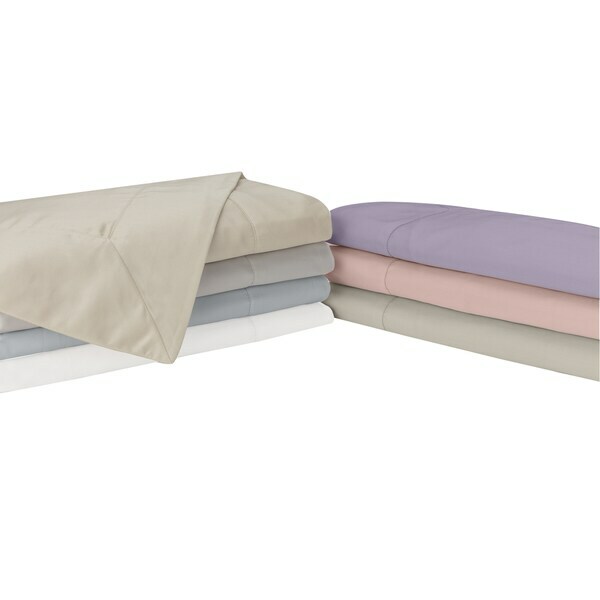 These shams are perfect to add color and freshness to any room or create additional luxury when added to the matching sheet sets that are sold separately.The Sham pair (2 shams) is available in 3 sizes and 7 exciting designer colors: Dusk, Dove Grey, Cream, Sage, Rose, Coastal and White. The feel and color of the sham is great however there must be a glitch w/ the packaging of this item - I ordered standard sz which is 20 x 26. I received a package of shams that say they’re standard sz, however the shams themselves are a jumbo king sz. I called CS and was sent a new pkg but received the identical item. So caution when ordering standard sz shams - you’re likely to receive incorrect sz.